1969 Christmas (2), 1969 Flight (5), 1970 Expo (2), 1970 Royal Visit (3), 1970 Cook (2), 1970 National Dev, 1970 Definitives (Few stamps out of place) and 1970 Qantas POP's. 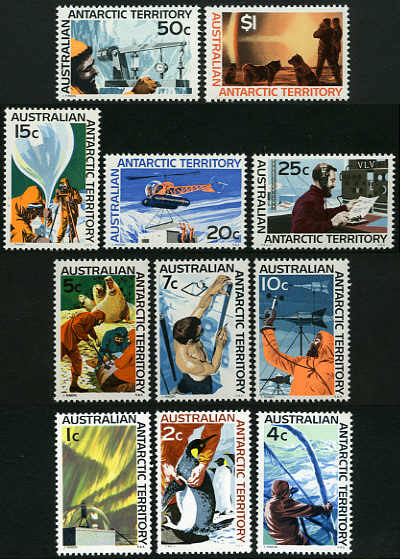 1969 Flight (2), 1970 Royal Visit (5), 1970 Cook (2), 1971 RSPCA (5), 1973 Famous Aust (2) and AAT 1966 Definitives (2), 1971 Treaty and 1972 Cook (2) POP's. 1969 Christmas (4), 1969 Flight (8), 1970 Expo (8), 1970 Royal Visit (6), 1970 Cook (5), 1970 National Dev (5), 1970 Selected Issues (8), 1970 Qantas (3), 1971 Asia (4), 1971 RSPCA (11), 1971 Selected Issues (4), 1971 Aboriginal Art (6), 1971 Christmas (8), 1972 Primary Ind (7), 1972 Rehabilitation (7), 1972 Munich Games (7), 1972 Christmas (5), 1973 Metric (5), 1973 Famous Aust (5), 1973 National Dev (2), 1973 Christmas and 1975 Christmas Gift pack (3) POP's. 1969 Christmas (8), 1969 Flight (44), 1970 Expo (9), 1970 Royal Visit (8), 1970 Cook (4), 1970 Nat Dev (5), 1970 Qantas (4), 1971 Australia Asia (4), 1971 RSPCA (9), 1971 Aboriginal Art (4), 1972 Primary Industries (4), 1972 Rehabilitation (12), 1972 Munich Olympics (4), 1972 Christmas (4), 1973 Metrics (6), 1973 Famous Aust (4), 1973 Nat Dev (4) and Australian Antarctic Territory 1971 Treaty (9) and 1972 Cook (4). Very high retail value. Large complete collection of POP's from 1969 Flight to 1973 Architecture excluding 1970 Qantas and Japanese packs. 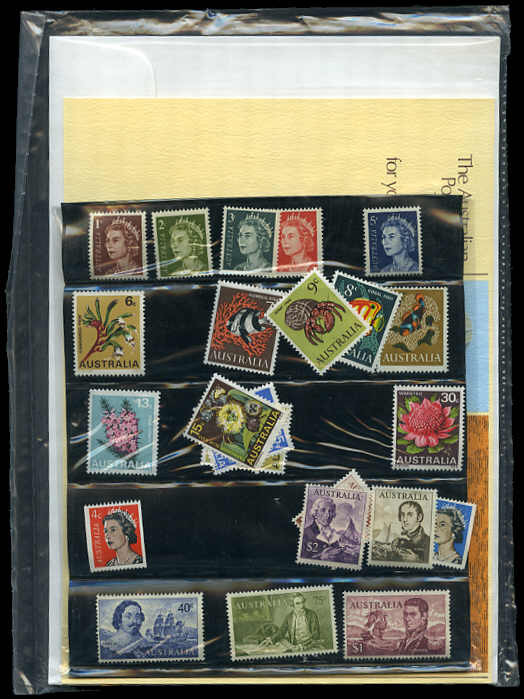 1970 Definitives with stamps in place. 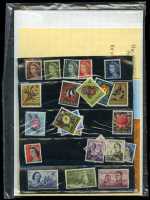 1970 Definitives POP. Few stamps out of place. 1971 Christmas block of 7 POP. (4). Also AAT 1966 Definitive set MUH.